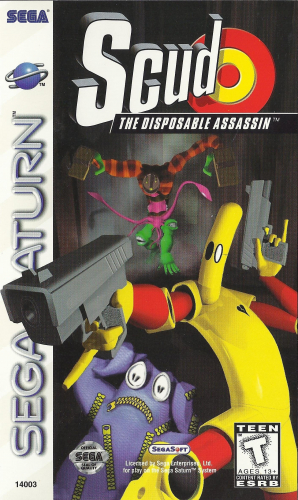 Take control of a robot assassin bought from a vending machine in SCUD: The Disposable Assassin. Plug in a light gun and blast enemies from a first-person perspective, or use a standard controller to have a side-scrolling adventure. For the ultimate challenge, invite a friend over and utilize both weapons simultaneously. Battle your way through a world of gangster robots and dinosaur zombies in SCUD: The Disposable Assassin.